…is what we have been hearing since yesterday morning. 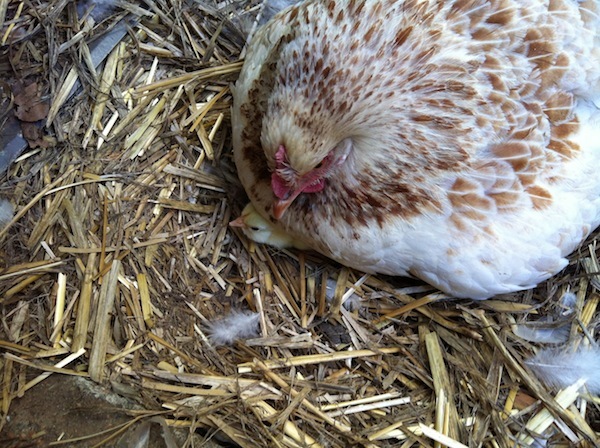 On boxing day, we put four potentially fertilised eggs (a gift from a friend) under our broody hen. She has been dutifully sitting on her eggs and has finally been rewarded with three beautiful little chicks. The first one hatched just after 9am and the third by 4pm. The three smalls of the human variety have been fascinated with them and although we’ve tried to maintain our distance and let mother hen be with her babies, the hourly visit to the chook pen to see these little cuties is just too much to resist. 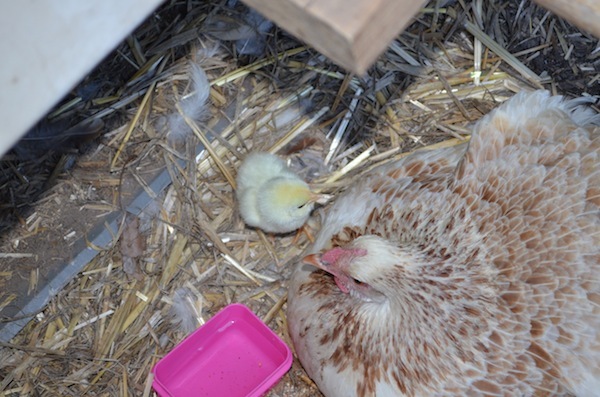 We popped out yesterday and picked up some chick feed and placed that along with a gorgeous! 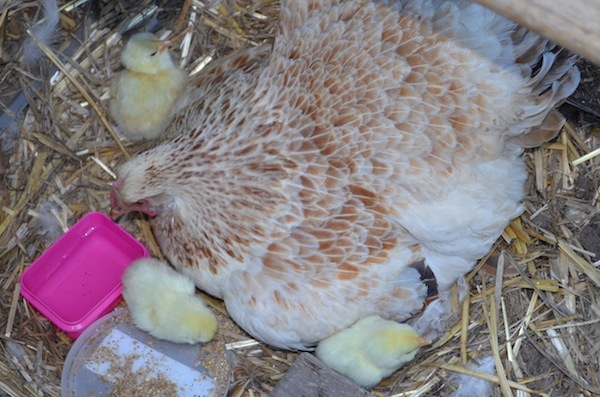 pink water container, chosen by the middle small, in the hen house with them. They are eating and drinking and generally just being super adorable. Back to the chicken watch – they’re calling us, I can just hear them (I may or may not be just as taken with them as my children are). 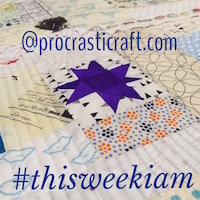 This entry was posted in backyard chickens on January 17, 2013 by procrasticraft. What are their names? Huey, Dewey and Louie? Larry, Curly and Moe? Harley, Chopper and Duke? Breakfast, Lunch and Dinner (eggs of course)?